When I saw this dress I instantly thought of the old photos I'd seen of my mom, wearing those fabulous 70s prints and suede minis. This is one of those great examples of how they say you should never throw clothing away because it'll always come back in style one day. 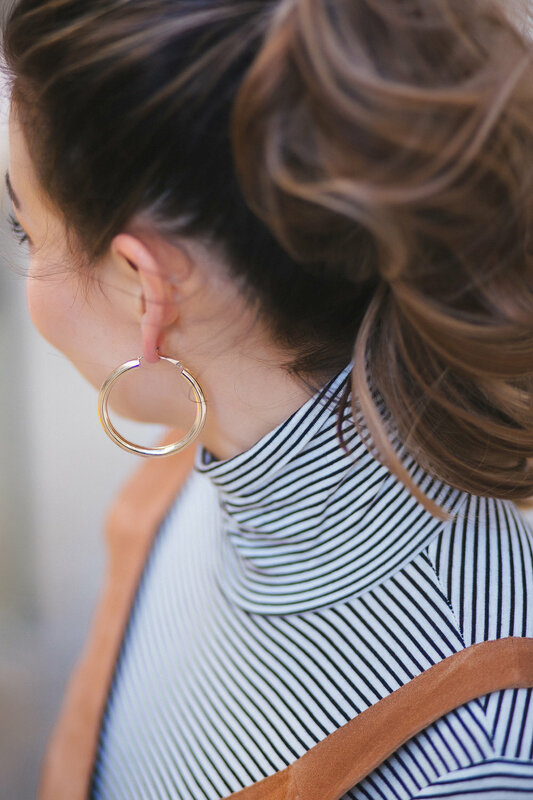 I was inspired to get these big tube hoops after the most recent The Bachelor season, where Bekah M gave timeless any-era vibes and wore old school hoops like these like she was born to wear them. I had to cap the whole thing off with a statement coat because, well, coats are my thing. For some it's shoes, for others it's handbags... give me a fabulous, statement-making, outfit-completing coat any day of the week.